This little book was published in 1958 and describes some of the many changes that have taken place between the end of the 19th and the first half of the 20th century and of which there appears to be no record. 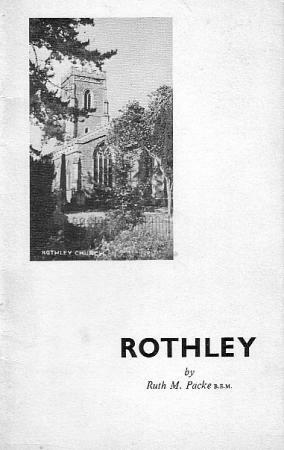 The information was obtained from those who lived in Rothley during the previous 70 years and was recorded so that it was not lost to posterity. Rothley Parish Church and Ancient Christian Buildings. Customs:Town Crier, Pancake Bell, The Wake, The Passing or Tolling Bell. The Old Red Lion (or Rothley House). List of Changes of Names of Rothley Streets 1956. This book is in the Local Studies Section of Rothley Library. XHTML 1.0 validated. WCAG compliant. Page generated in 0.2094 seconds.